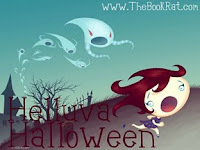 I've got a super quick excerpt for you today, the final day of Helluva Halloween. 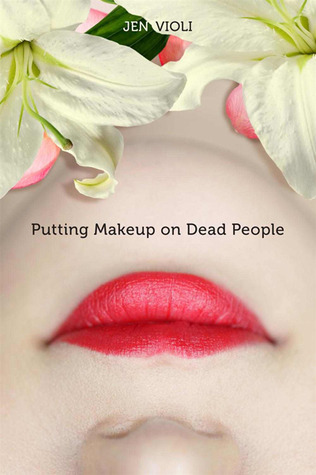 It's from (yet another) book that I really wanted to read this month, but had to cut: Jen Violi's Putting Makeup on Dead People. The concept of the book intrigues me; an odd little contemporary number where a girl finds comfort after her father's death by going to work for a mortuary. Lila Cordoza is dead and wearing my earrings. Not mine, exactly, but the same ones B's girlfriend, Gwen, got for me three months ago at Christmas. Silver zigzags with littler silver balls at the tips. I realize I was never this close to Lila when she was alive. We didn't have any classes together, and the only interaction I can remember is handing her toilet paper under the stall in the third-floor girls' bathroom, but even then we weren't face-to-face. We don't usually start the school day at Brighton Brothers Funeral Home, and I can see the dazed look on my classmates' faces, some of them crying (Becky) and some fidgeting (Patty), like they'd rather be anywhere else but here. 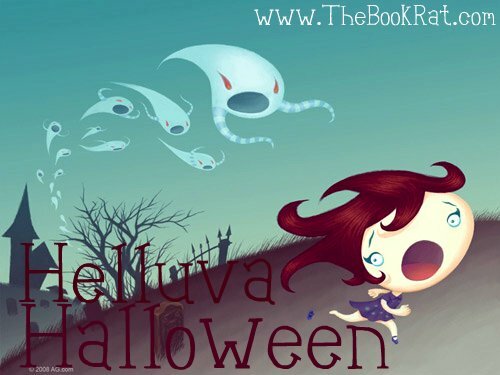 It's not normal for a seveteen-year-old to drop dead on the basketball court, and I'm pretty sure it's even less normal for me to feel so comfortable near her coffin and corpse. I've had this on my wishlist for a while now, but it's the first time I've actually seen it on a blog.